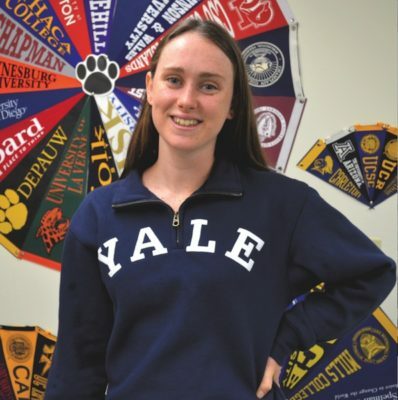 Immaculate Heart High School senior Oona Holahan describes herself as “a mid-Wilshire kid through and through.” But this fall, she’s moving to Connecticut to attend Yale University. Holahan first studied at St. Brendan’s for elementary and middle school and then transferred to Immaculate Heart High School (IH), where she has been active on and off campus. This year alone, she was the student body president and the captain of the swim team. And for the past three years, she has served as the Larchmont Chronicle school reporter for IH. “I loved writing my column every month and I loved being able to share a little bit about the great things we do at IH with readers of the Chronicle,” she says. Even for an ambitious student like Holahan, deciding what to do after high school wasn’t easy. “I was never the person who had a carefully constructed plan for my future,” she says. To prepare for the college application process, Holahan says she started reading up on schools, doing most of the research on her own. “At the start of senior year, I had a long list of schools I was interested in applying to,” says Holahan. She visited 20 schools, and applied to 12 of those schools. At Yale, Holahan says she plans to major in political science, with a focus on American history and politics. “As for career goals, I’m not set on what I’ll do after college, but I’m interested in careers in public service,” she explains. Not wasting any time, Holahan says she is excited to intern for Rep. Karen Bass this summer. Larchmont Village resident Eliana Estrada says she is scared to leave home, but “couldn’t be more excited for the next chapter” of her life. 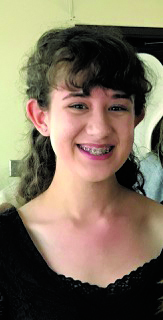 A senior at Los Angeles County High School for the Arts, Estrada has served as the Larchmont Chronicle school reporter there for the past four years. “It has truly been an honor to represent my school in the Chronicle!” she says. If that wasn’t enough, Estrada says she also is involved in many “outside” music activities, such as holding the position of principal second violin in the Los Angeles Youth Orchestra, a part of the Los Angeles Dream Orchestra, and tutoring other music students as part of the California Scholarship Federation. When it came time to apply to college, Estrada says she narrowed her options to a list of 14 colleges, ranging from music schools within universities to independent music conservatories: “Of the 14 schools I applied to, I was asked to complete the next round of auditioning at 12 of them. Of these 12, I traveled to eight,” she says. In the end, she decided on Oberlin Conservatory in Ohio. “The minute I stepped on campus, I knew it was the school for me. Between the welcoming and supportive environment, the eager music students milling around, and the amazing faculty, I felt an instant connection to it,” she explains. 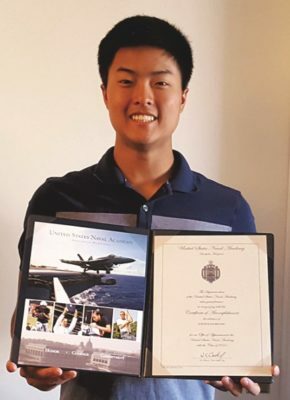 Since fifth grade, Loyola High School student Justin Joo has had a dream: to study at a service academy. He is focused on making a career out of military service. A Koreatown resident, Joo attended St. Brendan School through the eighth grade and transferred to Loyola, where he stayed busy with a number of activities. When it came time to think about life after Loyola, Joo identified and applied to 13 universities. But he admits that he was “mostly concerned” with only two of those schools: West Point and the U.S. Naval Academy. His decision wasn’t made any easier after finding out that he had been accepted to both: “I was very torn between the two schools and withdrew most of my other applications,” says Joo. Marlborough School senior Grace Atlee was already committed to USC when she got the news: she was accepted to Princeton. Now what to do? “Though I was thrilled to be admitted to Princeton, I was conflicted,” says Atlee. A Hancock Park resident, Atlee attended St. Brendan School until seventh grade, when she transferred to Marlborough. It was there, according to Atlee, that she found a wonderful community of students “whose drive and wide array of interests provided a constant source of inspiration.” She says it pushed her to be a better student, friend and competitor. While at Marlborough, Atlee served as the All-School President, a member of the varsity volleyball team, co-editor-in-chief of the yearbook, and on the leadership team of the Girls Go Global club. “I was busy in high school, but I enjoyed every moment of my experience,” she says. In all, Atlee says she applied to 10 colleges, but after learning that she was accepted to her top two choices, she had a big decision to make. 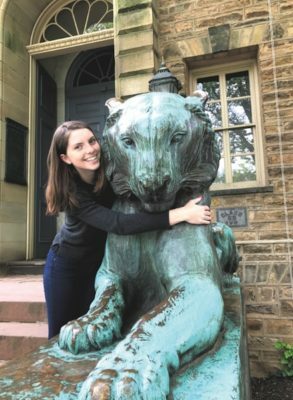 “My family and I decided a visit to Princeton was in order because none of us had experienced the campus and we were curious to see what sort of environment it was,” she says. Atlee was so impressed with what she found, she committed to Princeton on the spot.